The continuing bad weather in the UK is causing havoc for airlines. 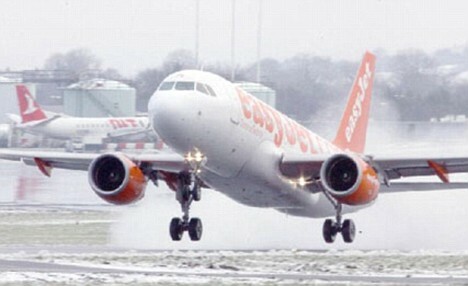 Easyjet has had to cancel 80 flights within Europe including 24 in Spain. The worst affected destinations were services to Madrid, Paris, Amsterdam and Toulouse. Although the main reason for the cancellations is the bad weather this has had a knock on effect with flight crew schedules. Many flight crew have surpassed their flight allowance time and as such have been stranded in the wrong countries. The weather has caused havoc for the airports and thousands of passengers alike. Many flights within Spain have also been cancelled, including flights to Malaga. Severe delays can be expected due to the ongoing weather conditions and backed up cancelled flights, anyone travelling should consult the webpage for the relevant airline for travel information updates befre flying. It´s snowing a lot this year! !